· 1940’s Spanish style house converted into a simplistic eco-conscious design that is focused on functionality and creating a breathing family environment. · Added visual square footage by taking down interior walls and by opening exterior walls to balconies to create one open space. 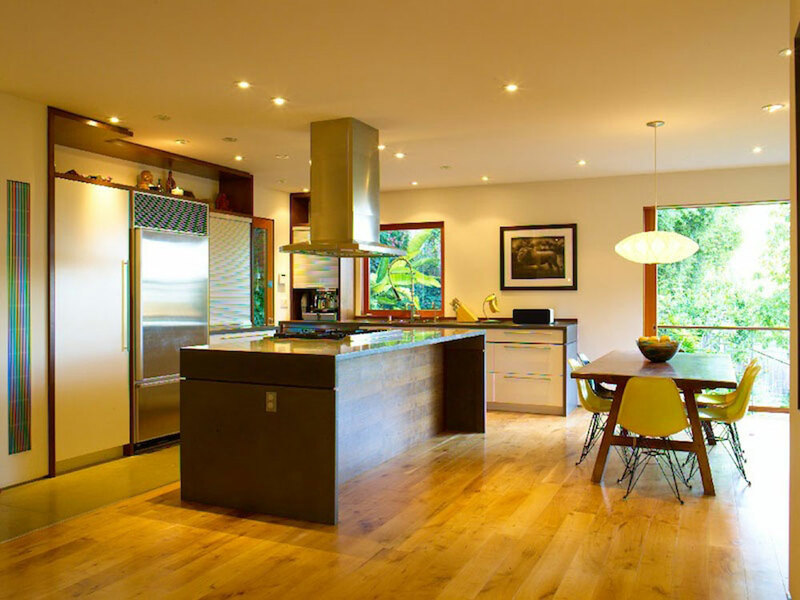 · The house was remodeled to better take advantage of natural light and winds. · Maximum use of natural light to cut down electrical cost. 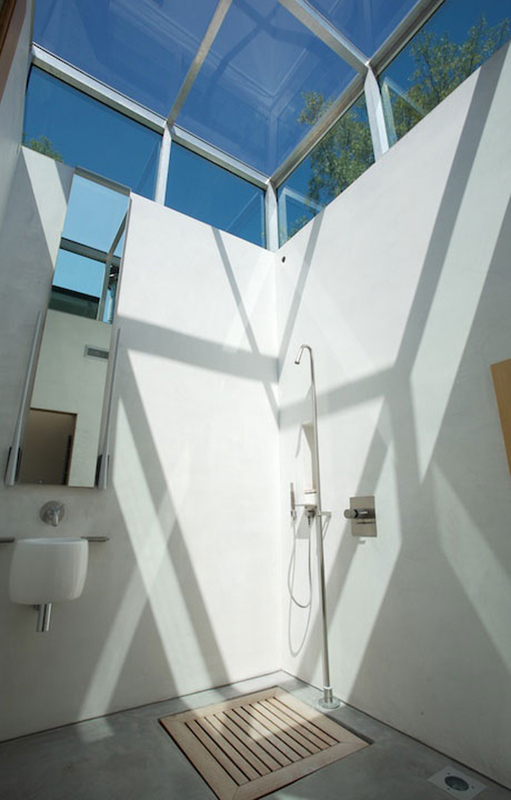 · Skylight at bathroom in the middle of the house extends 4’ above roofline and spans the ceiling, resulting in transparency and sense of vertical infinity. · Conscious effort in using only materials in their most organic form. · No use of chemicals, carpets, tiles or paint. 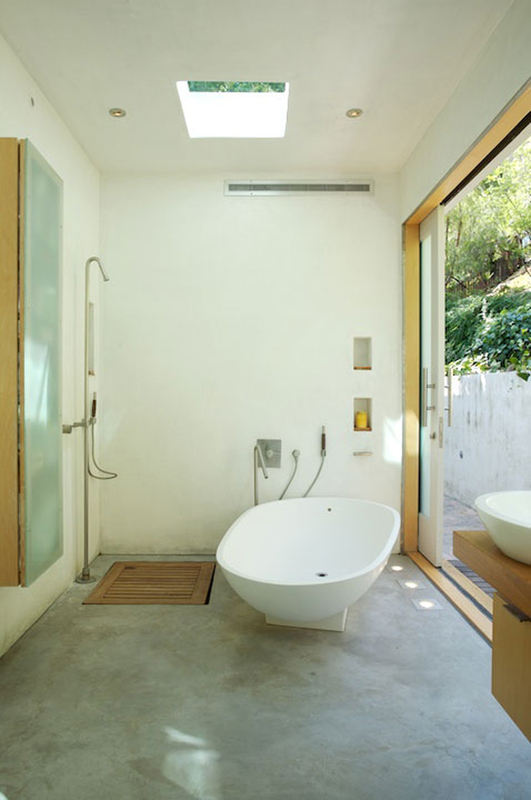 · Radiant floor heating for the environment. · Exterior Portland cement panels contain 30% recycled materials and fibers. This light material was easy to handle and carry uphill during construction. · Part of interior flooring made of panels contain 30% recycled materials and connected in an unobtrusive manner to increase floor plan flow and space. 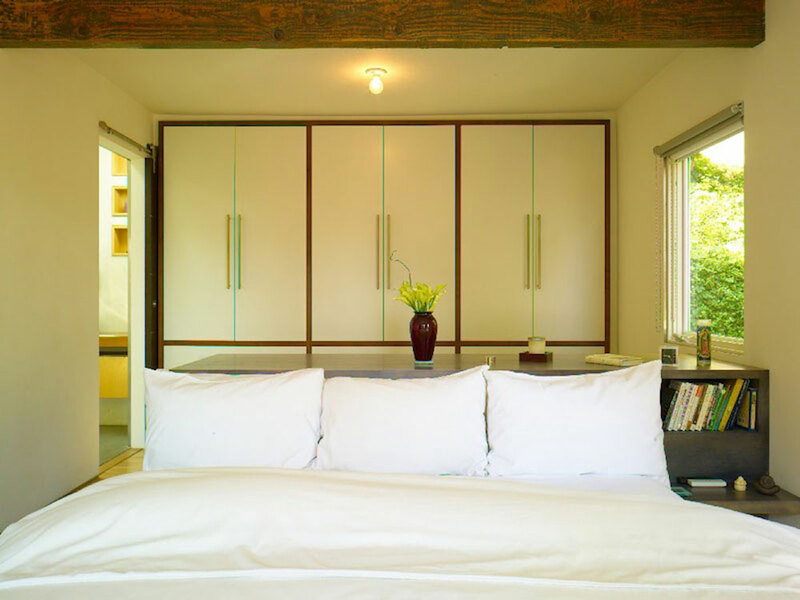 · Headboard in master bedroom echoes kitchen island and operates as storage for clothing. · Outdoor sleeping area for healthy living. 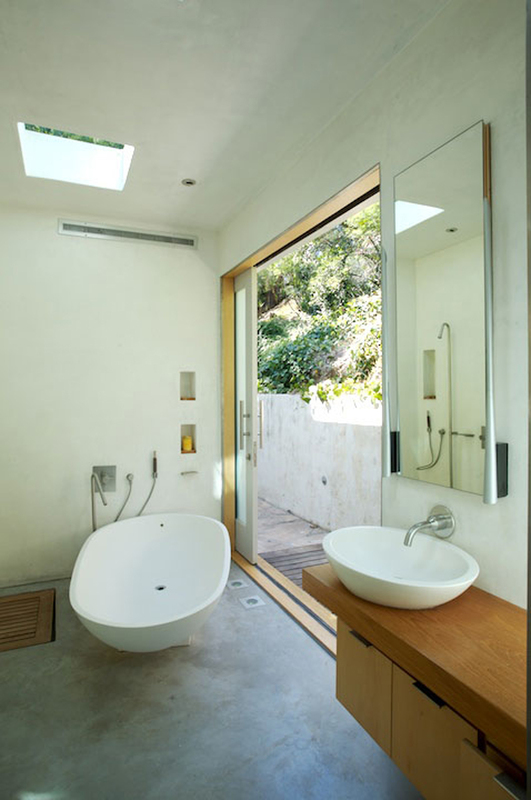 · Bathing becomes an outdoor activity in master bathroom, with the replacement of a wall for a glass door that opens to courtyard. 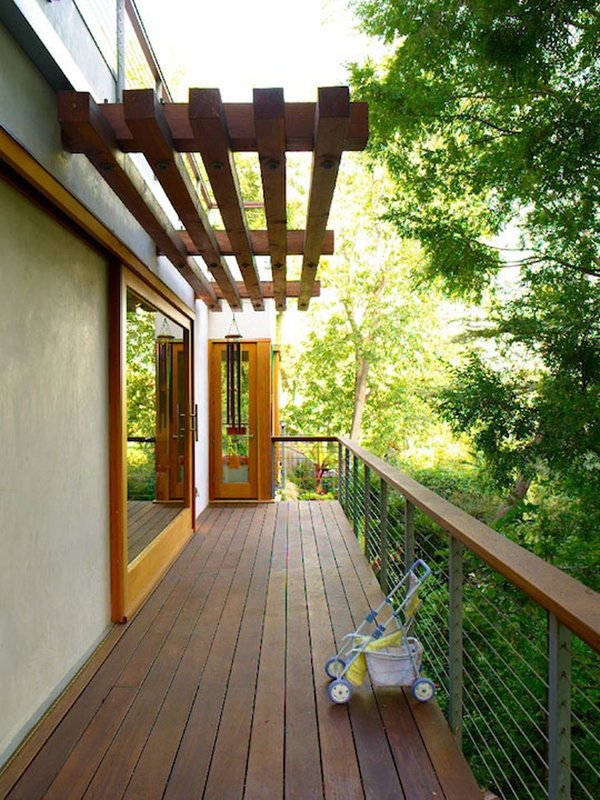 · Decks added outside living room and master bedroom for exterior living.